One of the most beloved Japanese sports cars ever produced is finally returning this year with the new Toyota Supra deep in the development phase. Being such an important part of the automotive world, it doesn’t come as a surprise that the Supra’s return is being followed by much hype. So much in fact, that we’ve already seen a few leaks that might suggest some of Supra’s future specs. One of these is a possible engine and transmission leak which we’ve already covered a while back. Toyota isn’t developing the new Supra alone. They’re doing it together with BMW. While the Japanese are benefiting from German expertise and their engines and transmissions, the Bavarians are actually getting a cost-effective new rear-wheel-drive platform. A platform which they’ll use to base the upcoming new BMW Z4 upon. 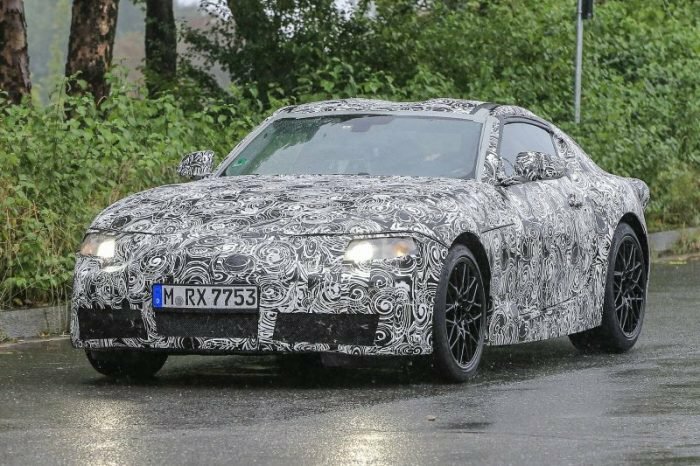 The BMW Z4 was actually already presented at the 2017 Pebble Beach Concours d’Elegance which means the new Toyota Supra shouldn’t be that far behind.